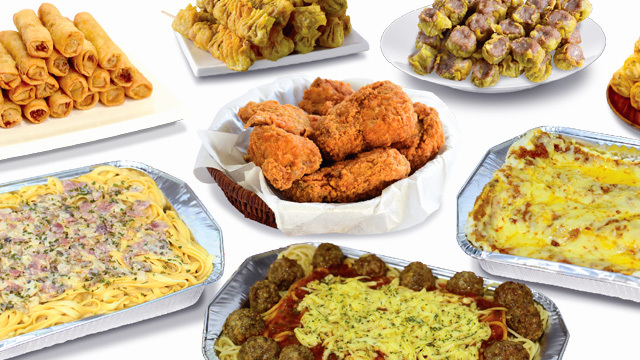 Ready your tummy for food-on-a-stick, rose ice cream, and more! 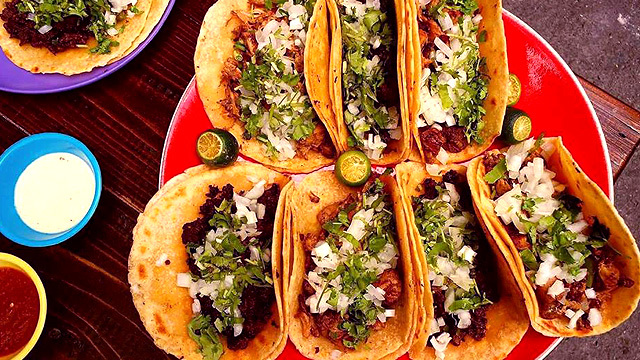 (SPOT.ph) You don’t need to spend a lot to taste the best of South Korea. 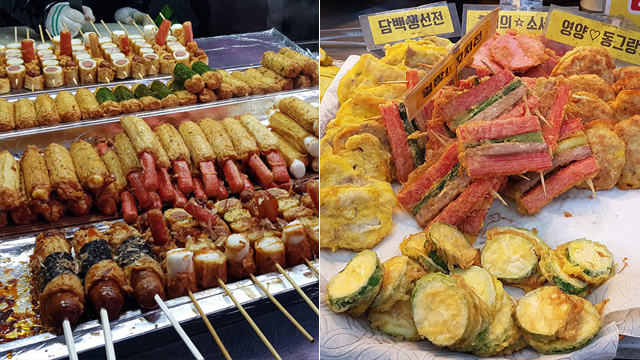 Just visit popular shopping spots (Myeongdong, Namdaemun, and Dongdaemun Market to name a few) or school districts (Hongik University and Ewha Womans University are our top picks) and you can sample the most popular Korean dishes from a random pojangmacha (open-air street stall or tented spot). 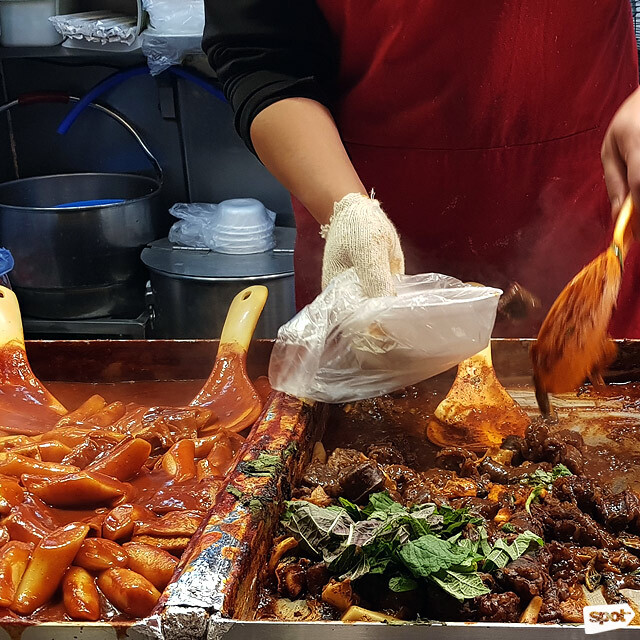 With a diversity of treats ranging from sweet to spicy, you’ll need more than a day to get a comprehensive taste of Seoul’s gastronomical delights. 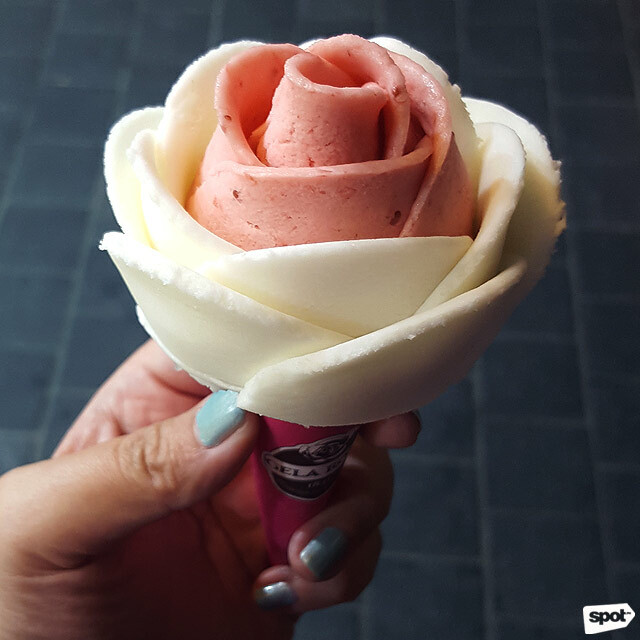 A frozen concoction that’s just so extra, this flower-shaped gelato by Gela Rosa deserves to be photographed and posted on social media before you devour its fleeting beauty. Choose from two to three indulgent flavors—strawberry, chocolate, green tea, and yogurt—to come up with your own creamy treat. Watch as their artisans carefully mold the flavors you pick and transform it into an edible work of art. Lobster or scallop? Whichever you prefer, you’ll find both being offered along Myeongdong’s packed streets. Watch as the fresh catch of the day is chopped into smaller pieces for easy snacking, cooked in butter, and then torched with cheese right before your very eyes. The end result is a simple yet lip-smacking dish! 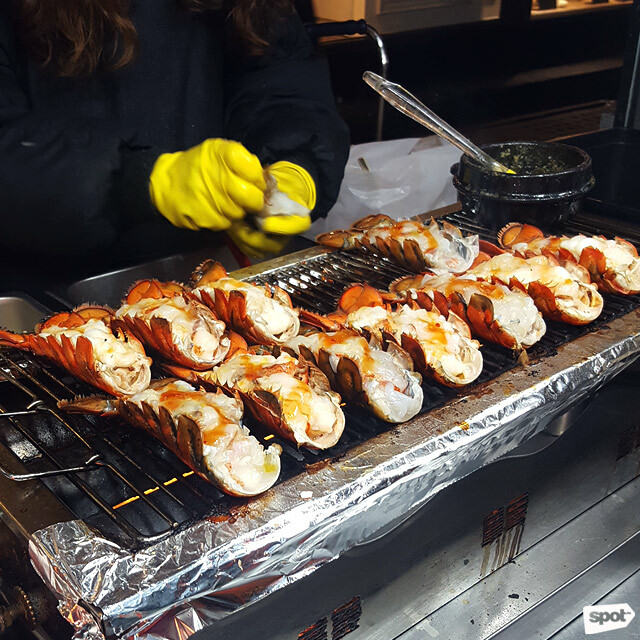 You’ll need to shell out more for these grilled samplings (10,000 Won or P460 for the scallop, and 15,000 Won or P695 for the lobster), but each serving is large enough for sharing. 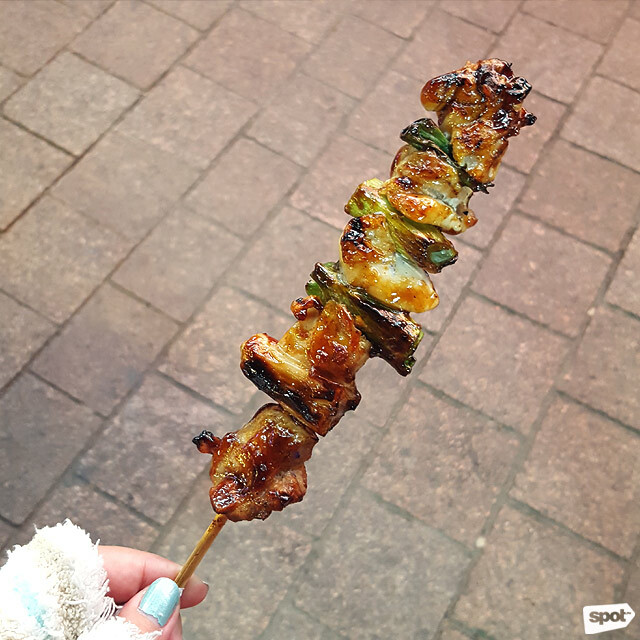 Alternating tasty morsels of chicken and scallion on a wooden stick, dak-kkochi can be basted with a variety of glazes such as soy sauce, sweet teriyaki, tangy barbecue, or spicy chili pepper. Tender and flavorful, this grilled meat goes well with alcoholic beverages. Go for this rolled concoction if you’re craving rice. “Gim” stands for seaweed, while “bap” means cooked rice—the two main ingredients of this popular light meal and picnic fare. Flavored in sesame oil and salt, the short-grain rice is layered with vegetables (such as yellow pickled radish, carrot, and cucumber) and more substantial toppings (ranging from ham, crabmeat, fishcake, to bulgogi) before being rolled in dried laver and served in bite sizes. Think Japanese sushi but bigger. 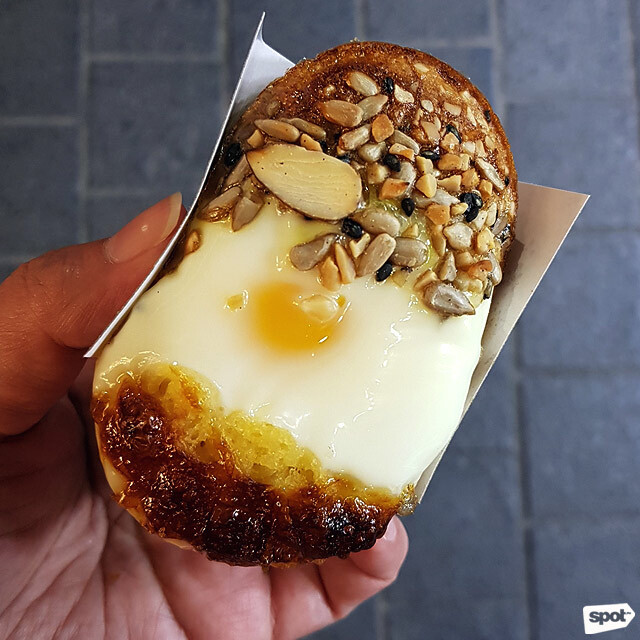 Reminiscent of bibingka, this fluffy, golden yellow bun can be eaten for breakfast or as a mid-afternoon snack. Equal parts sweet and savory, one whole egg is added to every cheesy loaf. Sometimes, a smattering of almonds and sunflower seeds is offered, giving the otherwise soft, protein-rich bun a crunchy texture. 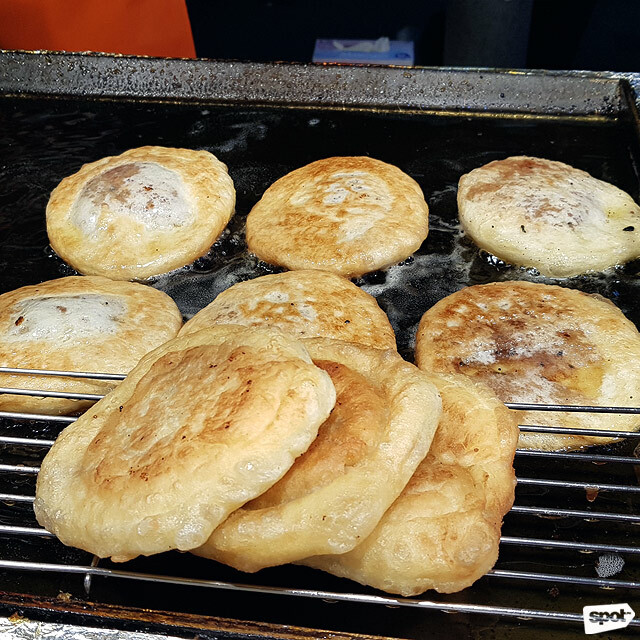 Don’t be deceived by the simplicity of this fried Korean hotcake. Sink your teeth into the crispy griddle cake and you’ll be rewarded with a surprise center—a warm gooey syrup consisting of brown sugar, honey, chopped nuts, and cinnamon. Another popular winter snack, this sweet dessert should be eaten with caution as its sweet filling might burn your lips or tongue at first bite. Many people flock to stalls that sell this popular Korean snack especially during autumn and wintertime. A warm and comforting dish, this thin, rectangular cake is made up of ground fish, potato starch, and vegetables, and accompanied by a cup of steaming fish broth. 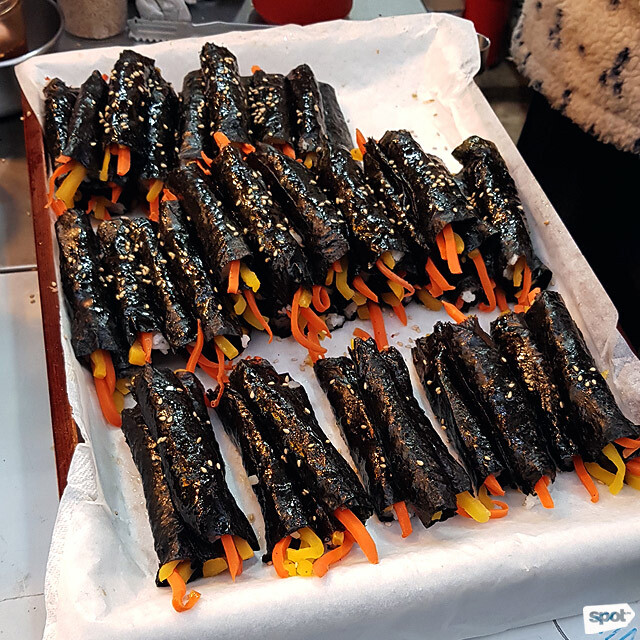 Sold at 1,000 Won (approximately P46) per stick, the lightly flavored, mildly salty fish cake can be consumed on its own or dipped in soy sauce. The soup serves as an instant hand warmer while you’re battling the cold outdoors—leave some for sipping to wash everything down. Eat your way through a whole potato presented in a unique way! This culinary treat was said to have been invented by a Korean named Jeong Eun Suk and gained popularity worldwide due to its eye-catching appearance. 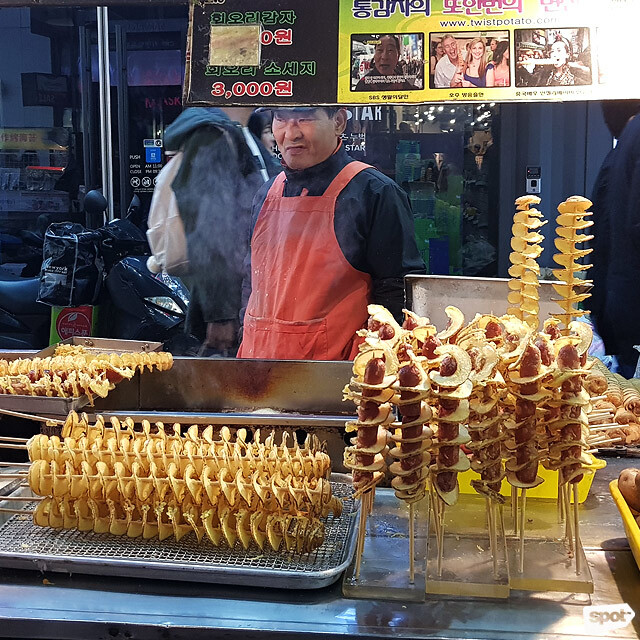 The spiral-cut, starchy snack is skewered, deep fried in oil, and coated with flavored powder. Having it on a stick makes it easy to munch on the crispy treat while walking around and doing some window shopping. Level up your tornado potato order by opting for one with a hotdog twirled in between! Usually sold at 2,000 Won (P92) for five pieces, these palm-sized pastries are quite addicting! 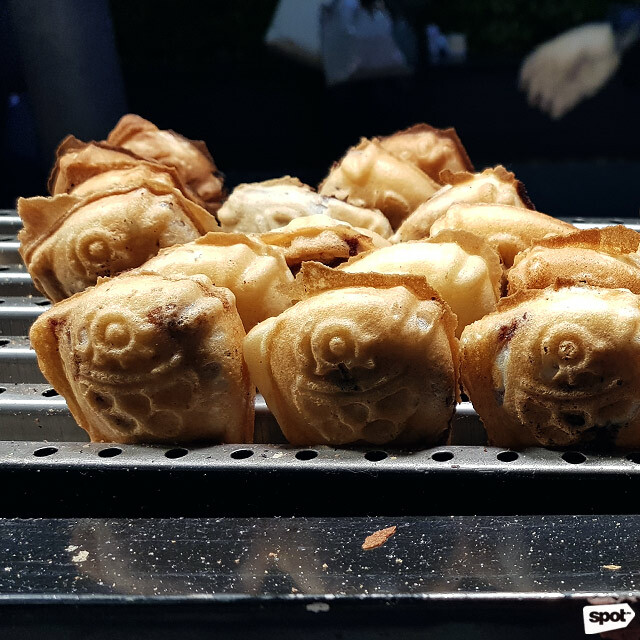 The batter is molded into an elaborate fish shape by specially made waffle irons and packed with sweet red bean paste. Cooked right, the crunchy exterior complements the soft and gooey center. South Koreans love their spices. They’re known for producing endless supplies of kimchi and instant spicy noodles (raise your hand if you’ve tried and failed the challenge! 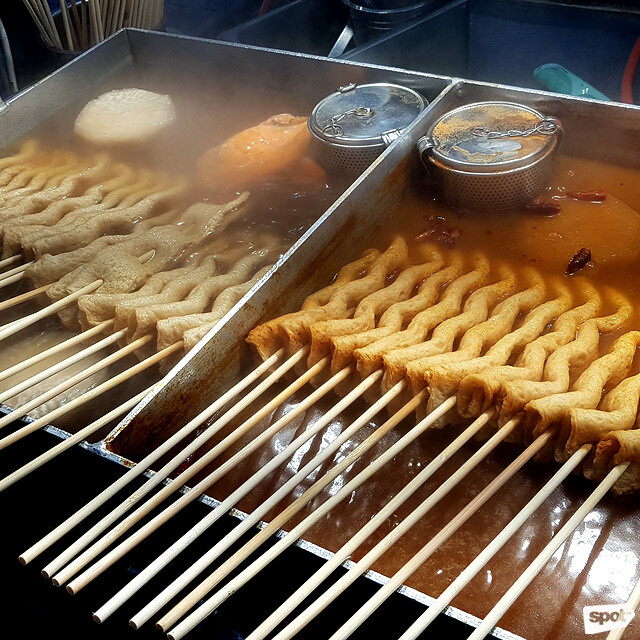 ), so it makes sense that they’ve got an extremely hot street-food staple—tteokbokki! Glutinous and non-glutinous rice are transformed into long, cylindrical chewy cakes seasoned with gochujang (red chili paste), which can be served dry or with sauce. Thanks to the fiery base, your taste buds will be left with a burning sensation long after you’ve had your fill. For people with low tolerance for spicy food, a more palatable ganjang-based (soy sauce) variant is also available.